TBP's Radiator Hose Clamp Kit for Silicone Hoses features Stainless Steel T-Bolt style clamps for your Upper & Lower Radiator Hoses and Thermostat Bypass Hose. 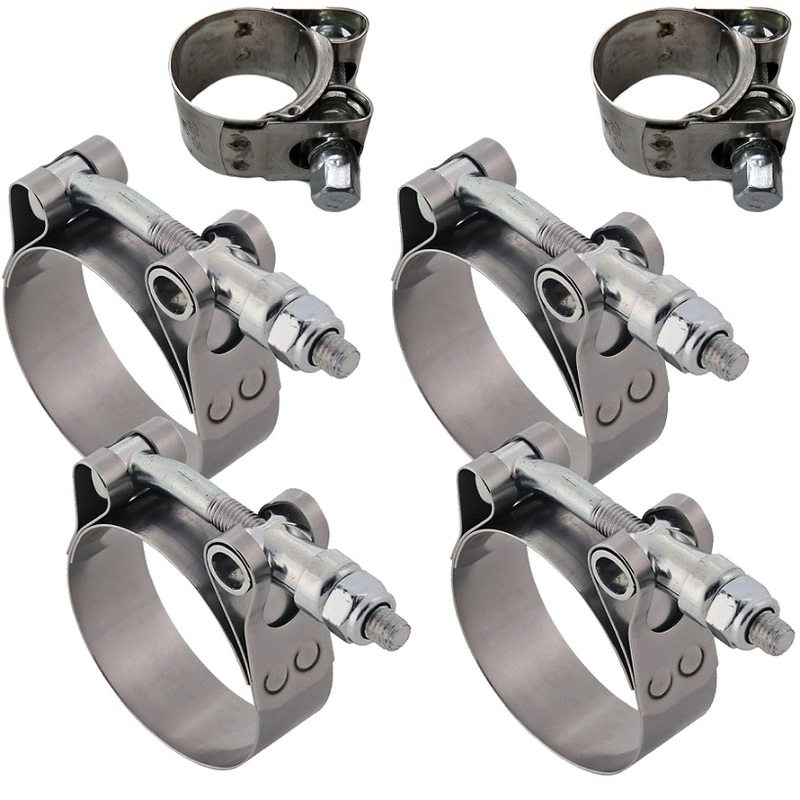 These clamps feature stainless steel clamps and zinc-coated, curved t-bolts for perfect fitment. These clamps are designed specifically to increase the longevity of your silicone radiator hoses. Our T-Bolt Hose Clamps hold your hoses securely in place and don't dig into the hose material in the way that worm gear style hose clamps will.